But contrary to published reports, Apple is not currently developing a smaller iPhone, according to people briefed on Apple's plans who requested anonymity because the plans are confidential. The next generation iPhone is being worked on by Apple engineers, and according to the newspaper it is "likely to be similar in size" to the current iPhone. A smaller screen would require developers to rewrite Apps to accommodate the new form factor -- an issue Apple hopes to avoid. Apple executives also note that they plan on dropping the price of the previous model when the new model is introduced. 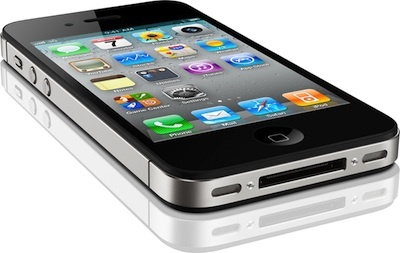 That means the iPhone 4 will likely take the place of the $49 iPhone 3GS when a new model is introduced. The NYTimes piece, however, does seem to confirm some of the details given in the original Wall Street Journal report. Notably, Apple is working on making it easier to use voice commands to navigate the device. Apple is also working on changing some of the internal components to reduce costs to possibly sell versions of the iPhone at a cheaper price. "Although the innards of the phone, including memory size or camera quality, could change to offer a less expensive model, the size of the device would not vary," said the person, who has worked on multiple versions of the device. Meanwhile, the details of the new MobileMe also seem similar. They believe the new MobileMe would be free and allow users to wirelessly sync and access photos and files online.